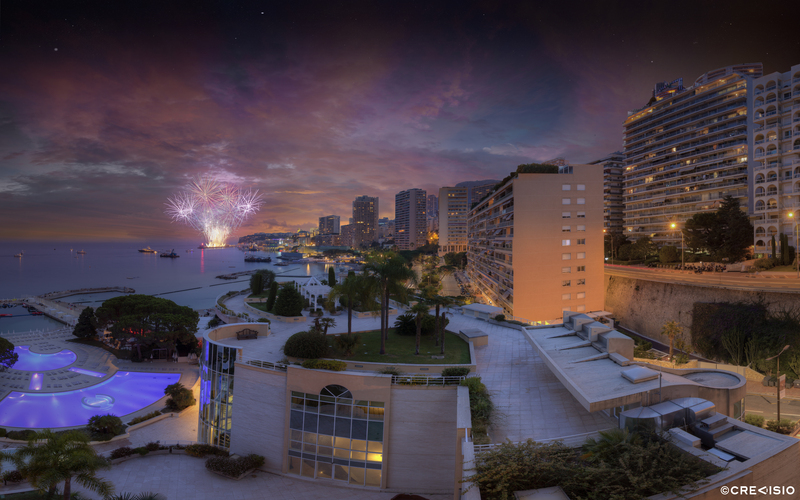 Annual fireworks competition in Monaco. The photograph was captured during the annual fireworks competition taking place in summer along the Côte d'Azur, and also in the Principality of Monaco. The photo was taken from the East side of Monaco, the Larvotto district, with perfect view on the spectacle. The full dimensions of this ultra high resolution panorama is 76 megapixels (11,067 x 6,917 pixels at 300 dpi). You may download a free wallpaper version for personal use by clicking on the photo or on the full resolution link provided. For commercial use, please contact Crevisio.